We have more NBI Manila branch with their complete location address, fees, requirements and procedures on how to apply online. You can visit to the nearest location where you are from here in Manila. Although all branches of the National Bureau of Investigation applies the same procedure in terms of clearance application, below is the list of step by step procedures that you can follow while applying for a copy of your clearance. Fill up Clearly the needed information. Fill up the Forms with your Last Name, First Name, Middle Name & Suffix if any. Fill Up with your Nickname, AKA or Other Name. If you don’t have a nickname make sure to put a dash (-) and don’t leave any space). Choose from the Drop-Down Menu your Citizenship Status. 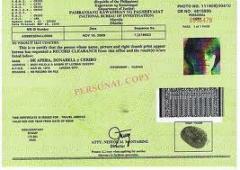 Click the SUBMIT Button and You’re Done with your NBI Online Application. 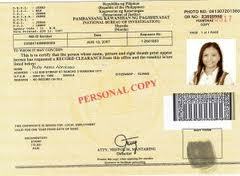 The NBI Clearance application fees range from P115 to P415 depending on the NBI Clearance Application Purposes. It is easy to find this branch location and address. If you want to know how to get there, please follow the street map routes below using Google Maps or you can call the NBI hotline numbers for customer service through their official website which you can find here - http://www.nbi.gov.ph/.